With the start of a new year comes the opportunity to set the bar high in being a better person. In addition to the goals you and your family have set for yourself this year, we hope you will pledge to be a safer driver. Disconnect and Drive. One out of every five traffic deaths involves distracted driving. Be a safer driver and put your phone away in 2019. Don’t check emails, texts or social media. Don’t eat behind the wheel or groom yourself while driving. ◦ In doing our part to combat this epidemic, AAA Carolinas will help to champion a proposed Hands-Free NC bill. Don’t Drink and Drive. Always have a designated sober driver in place before drinking takes place. Commit to downloading a ride-sharing app such as Uber or Lyft – which are handy services that are easy to use and offer special features like extra-large vehicles and vehicles for those needing special assistance. Wear your Seatbelt. This is probably the simplest pledge that can make the greatest difference. 50 percent of people involved in a crash that are not wearing a seatbelt are killed. Use your seatbelt at all times and make sure you are teaching your children to do the same. Obey Speed Limits and Understand Road Conditions. Always adhere to the posted speed limit as speeding is a factor in almost one third of all traffic related deaths. At the same time, be a safer driver by understanding the conditions of the road in each situation. If you deem the roads to be unsafe, for example if they are icy or wet, go slower than the limit to prevent a crash. Drive to the conditions. Share the Road. Always scan the road for pedestrians, bicyclists and animals. Slow your vehicle as you approach them. Have a Conversation with your Teen. Teen drivers are one of the most vulnerable groups on the road. Talk to your teen about all of the distractions and dangerous factors they are facing and how to combat those to get to their destination safely every time. Protect your Vehicle. 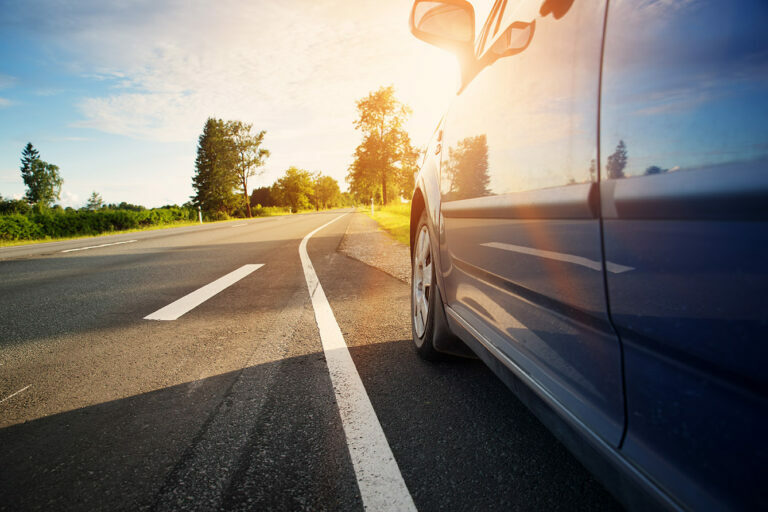 Perform regular tire checks and routine maintenance to ensure your car runs smoothly on the roads.